JP Systems Asia, Incorporated (JPSAI) is the newest scaffolding company in town. It is a joint venture between Equipment Engineers, Inc. – a wholly owned subsidiary of construction giant EEI Corporation, Sansin Sangyo Co., Ltd – a leading scaffolding and allied products rental company in Japan, and KYC Machine Industry Co., Ltd. – a manufacturer of shoring and scaffolding products in Japan. Led by its newly appointed President, Mr. Gary F. Cruz, JPSAI offers cost-effective solutions to scaffolding, shoring and formworks needs, leveraging on the synergies of the companies and bringing Japanese discipline, techniques, and standards in the Philippine construction industry. 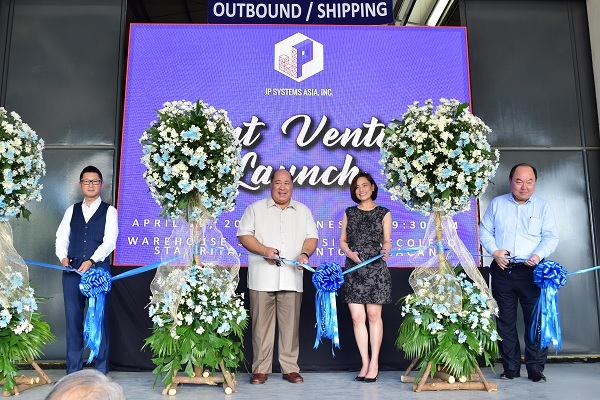 The ribbon cutting during the launching ceremony were done by Masato Ono, CEO of Sansin Sangyo Co., Roberto Jose L. Castillo, CEO of EEI Corporation, Agatha Paula Cruz, representing Mayor Ambrosio Cruz, Jr., Mayor of Guiguinto Bulacan, and Masatoshi Naokawa, CEO of KYC Machine Industry Co., Ltd. last April 19, at the Company's yard in Sta. Rita, Guiguinto Bulacan. The event was also graced by special executive guests from both Manila and Japan.